I think it's becoming a rare thing these days since more and more cars are coming without them. And many news cars have crazy large amount of gears like 8 and 10 speeds autos. I've always wanted to learn but I don't have many friends with them and I wouldn't trust myself learning in a car that nice anyway. Plus I live in Utah and some of these hills and the snow just make it not worth it for me to learn. Not that I never will. I may someday, but I just see the point. 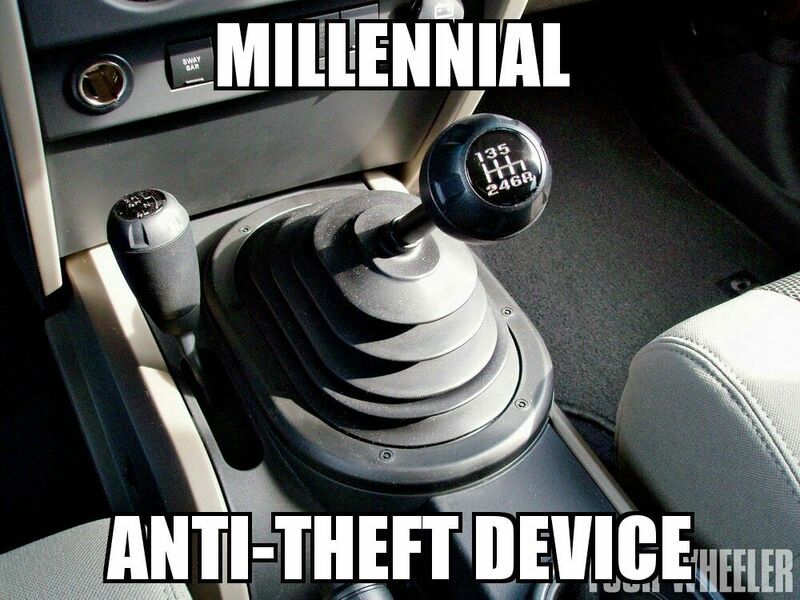 Attn: Millennials and Gen Z!!! Put down the iPhone and pick up a damn wrench!! !